Folks usually identify native trees and shrubs by their leaf-shape, but what about once winter hits and many plants lose their leaves? Don’t fret, the dormant twigs left behind have many clues that can be used to identify what they are. At this free community workshop, we will give you the tools to begin a practice in twig identification. 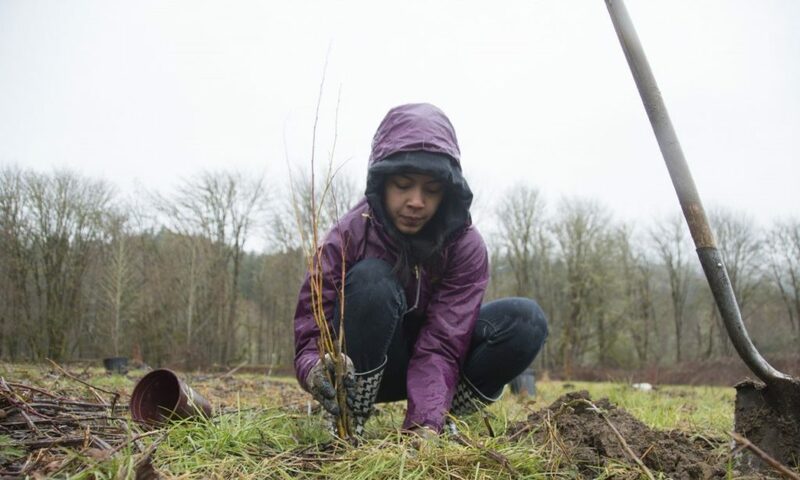 In the PNW, the rainy winter season is most ideal for planting. It is important that we can tell different plants apart so we know we are planting the right plant in the right place. We will begin inside with a lecture, then we will head outside for a plant walk, and we will spend the final hour planting with some of the plants we talked about.